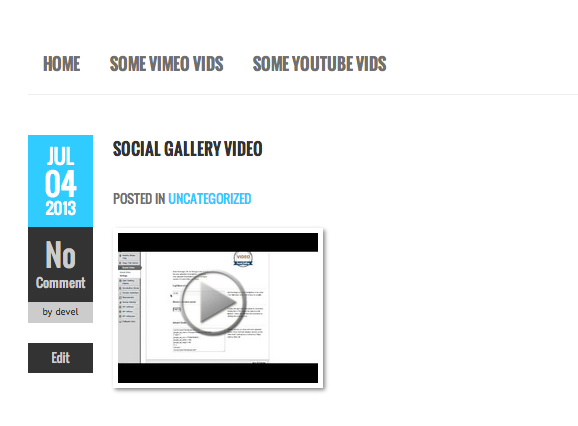 Social Gallery WordPress Video Viewer Plugin is the latest from the Social Gallery team. 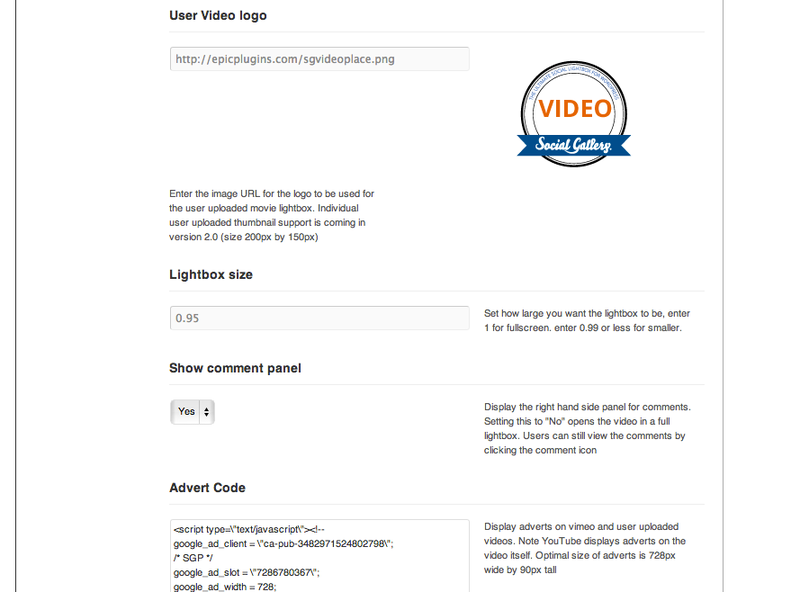 Now let your users share and comment next to the videos you display on your site!! Turbo charge your users engagement. Are your users fully engaged with your websites images through the use of the Social Gallery WordPress Photo Viewer if so.. there’s only one thing left for your users!! Get More out of your VIDEOS. More Likes. More Comments. More Revenue. Your blog visitors already click your videos, usually these are embedded videos from YouTube or Vimeo, or a WordPress embed – but once they have watched your video (and if they played it, they probably like it!) then what? 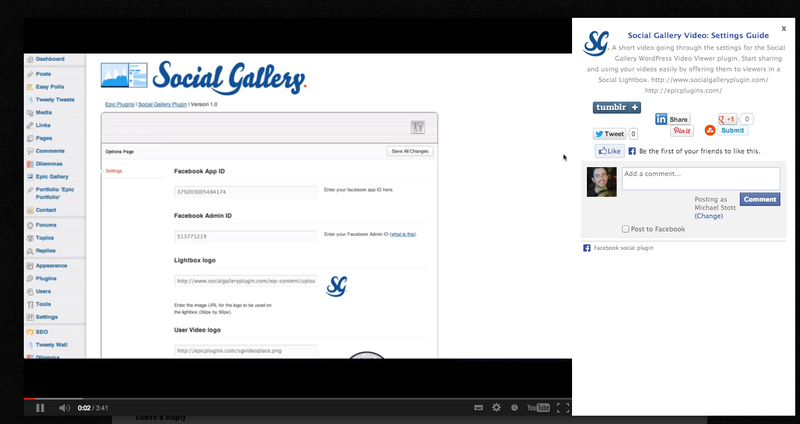 With Social Gallery Plugin your users can “like”, “tweet” and “pin” the videos on your page! 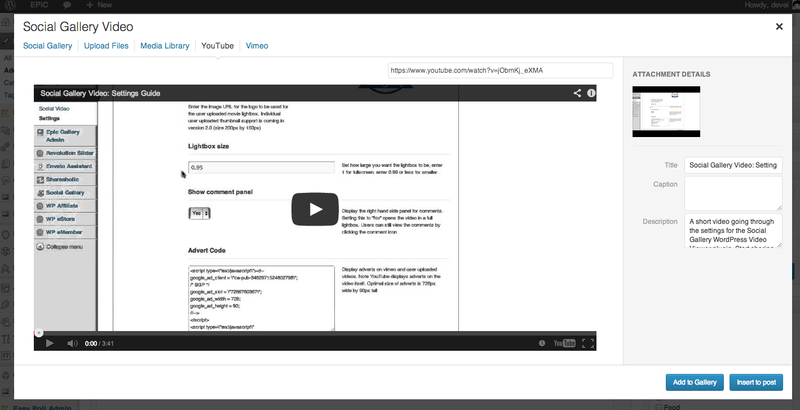 Add custom HTML descriptions New: Now “Per Video”! Did we tell you it’s easy to install? The Ultimate WordPress Facebook Plugin for Video Viewing – Easily integrated just by installing the plugin! 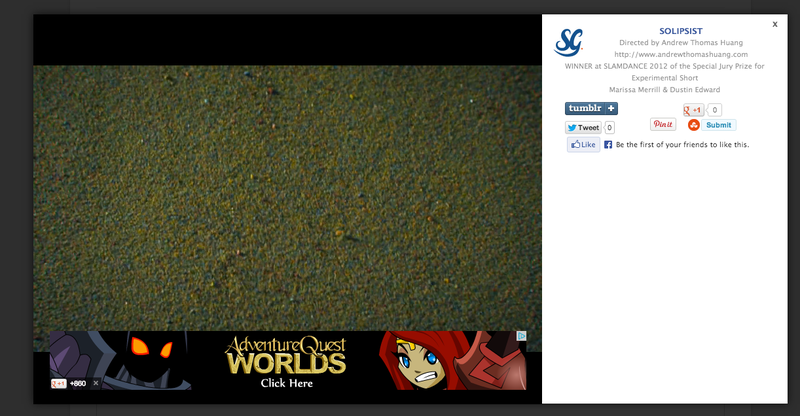 Once installed you can view your very own Facebook style video gallery – on your own blog! Integration with the WordPress 3.5+ Media Manager! !